I drew all the characters in photoshops, and they are silhouettes. The aesthetic looks clean and I like it really much. Most of the animation is made in After Effects using the puppet tool. They were not hard but quite time-consuming. 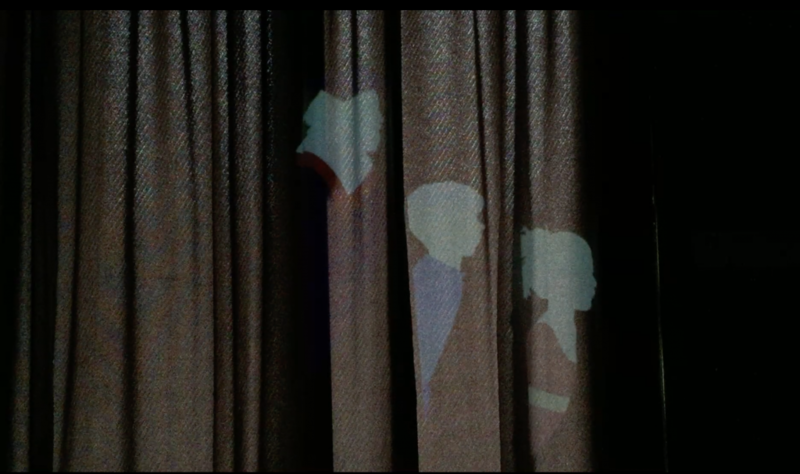 And I had to think about how the shape of the object that the projection will go on affects the characters movements. Then, the animation of transformation was hand drawn. I recorded a piece of ballet dance and opened the video in Photoshop and then rotoscoped the dancer’s movement. 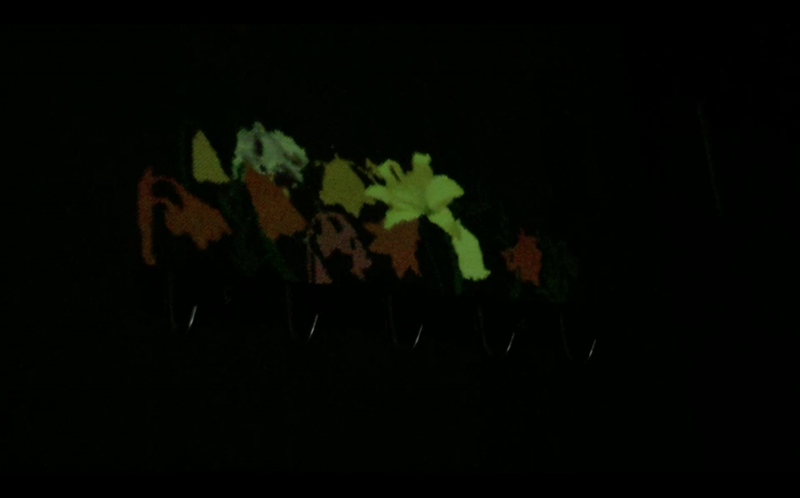 After the animations were done, I started to do projection mapping. I chose to project upon the objects that we see and use every day, like the wall, the door, and the chair, etc, to let people imagine and catch a sense of magic and fantasy from the realistic world. I recorded the projection process and edit the clips together. I hope you can get the idea of narration from the editing. The video has exceeded the size limit of the documentation blog, so I uploaded it to the google drive: https://drive.google.com/file/d/0B5CgU5x_OVEodFNyY20tTnNTbVk/view?usp=sharing. Some spots work good with the animation, it really makes the 2D animation dimensional. I met a couple of issues during projection. Among them, lighting is the biggest one. 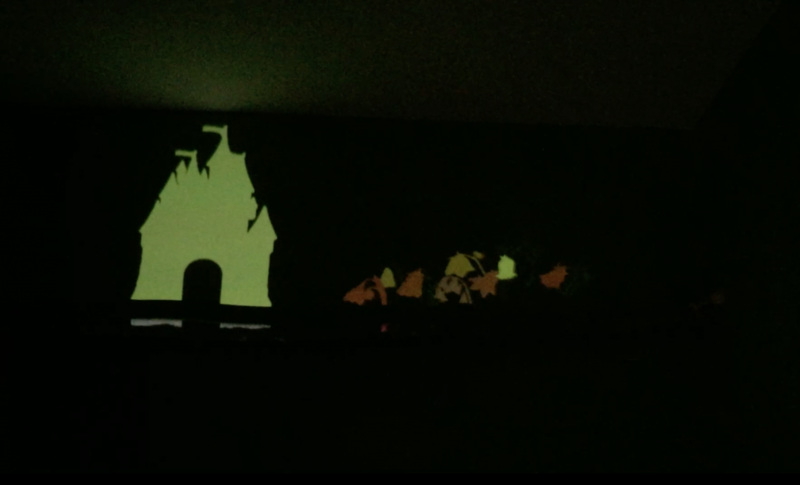 I projected in the common space inside our dorm at night. When projecting, I could either turn the light on or off. If I projected with the lights on, the ambient lights were brighter than the projector’s light, which made the color of animations very pale; however, if I turned off the lights, the animations looked bright but the objects that were projected upon became hard to see.